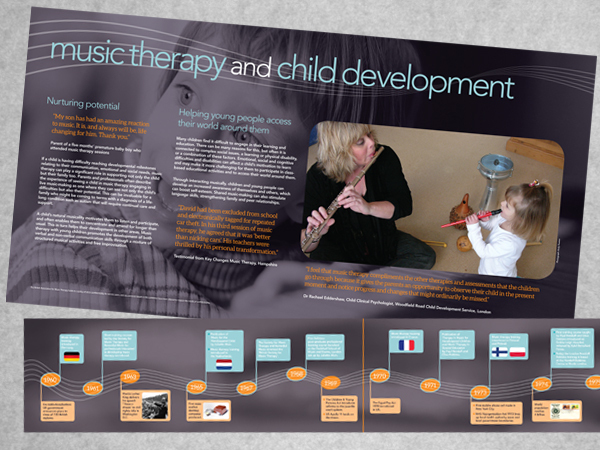 Client: British Association of Music Therapy. A set of panels for a public exhibition at the Barbican Centre in London which needed to be visually engaging. The exhibition invited visitors to learn about music therapy and the impact it has on the lives of some of the most vulnerable people in our society. As well as several large panels, I designed four timelines – you can see examples above.